MY FATHER IS THE GREATEST GIFT I HAVE FROM GOD. A CHILD NEEDS A FATHER JUST THE WAY HE NEEDS MOTHER. 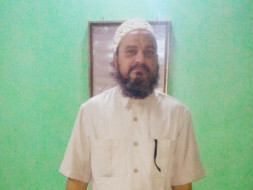 MY FATHER IS SUFFERING FROM A DISEASE NAME DIABETES WHICH MAY NOT BE DANGEROUS AT FIRST GLANCE BUT CAN BE WORSE WHEN IT DAMAGES THE ORGANS. 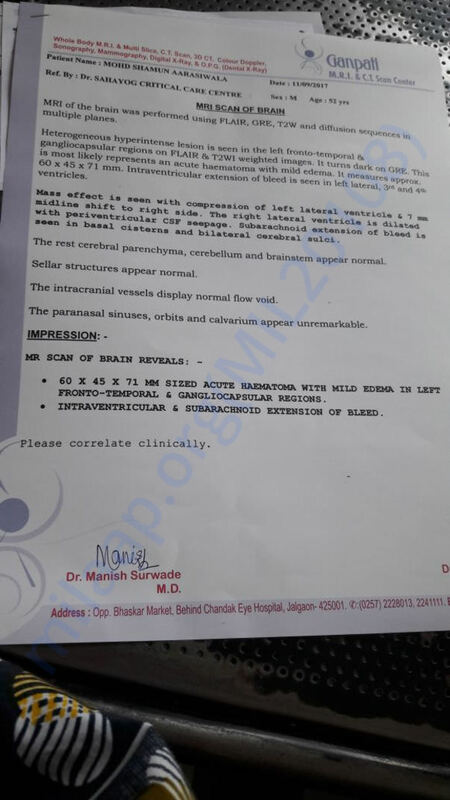 HE GOT BRAIN HEMORRHAGE DUE TO HIGH DIABETES AND HIGH BLOOD PRESSURE AND HAD UNDERGONE SURGERY IN VINS HOSPITAL VADODARA. HE WORKS IN A SHOP IN SMALL TOWN NAME JALGAON AND HARDLY EARNS FOR HIS LIVELIHOOD. HE HAS BEEN HOSPITALIZED TO A HOSPITAL AND BEEN FIGHTING FOR LIFE. HE NEEDS LOTS OF PRAYERS AND APPROX RS 4 LACS FOR HIS RECOVERY. HE HAD UNDERGONE AN OPERATION BUT STILL IN ICU AND STILL FIGHTING FOR LIFE. 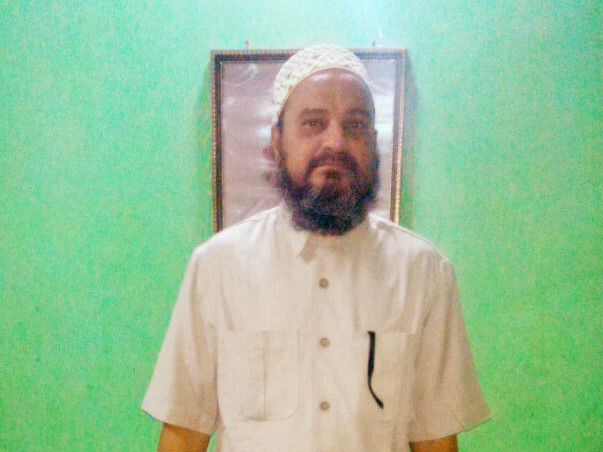 BEING A SON, I DONT WANT TO LOOSE MY FATHER SO NEED YOUR HELP. YOUR SMALL CONTRIBUTION CAN SAVE MY FATHER LIFE. Here is an update on Mohammad Shamun. 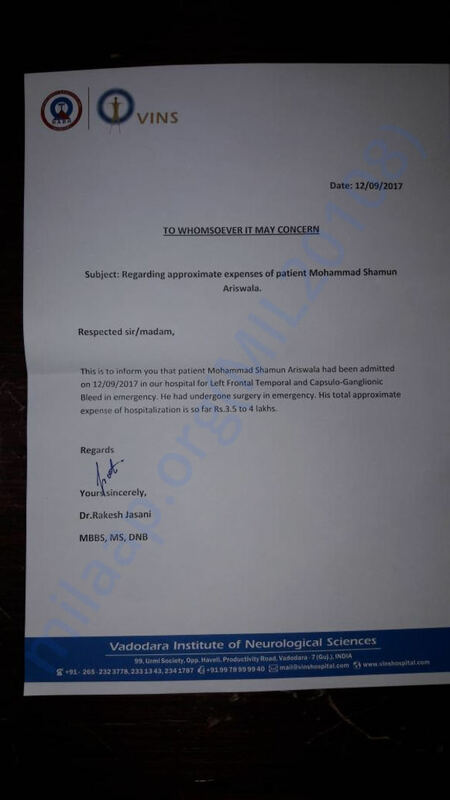 Shamun has undergone the brain surgery on 13th September and is stable right now. Post the surgery, he was diagnosed with lung and kidney infection. Currently, he is taking antibiotics and he is recovering from the infection. The doctors have advised to keep him under observation to decide upon the future course of treatment. Please pray for his speedy recovery. Thank you for your blessings and support.